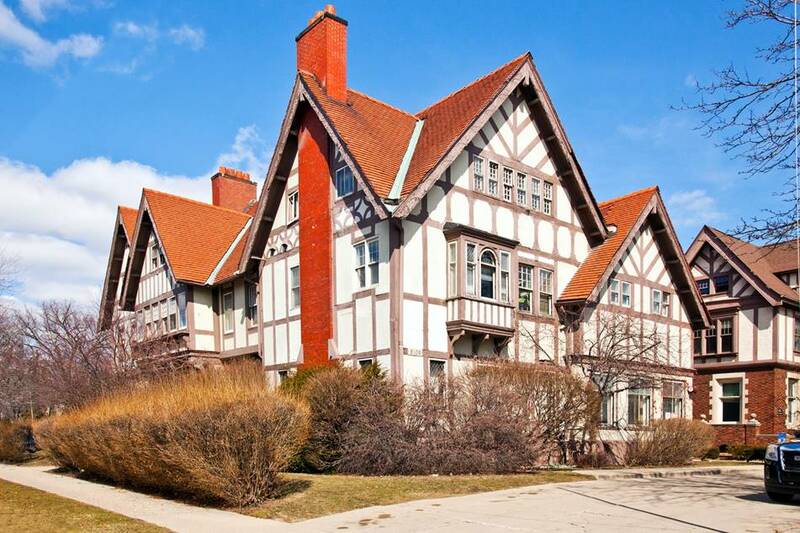 The historic Frederick K. Stearns Mansion located at 8109 E. Jefferson Ave. (on the corner of Parker Street and Jefferson Avenue) in Detroit’s West Village neighborhood has been listed for sale at $1.2 million. The turn-key property offers three stories plus a basement and is currently used as a commercial office building. It includes a gabled roof with stucco, and half-timber facades. Built in 1903, the 15,000-square-foot mansion offers projecting bay windows, broad roof surfaces, and hand-crafted details including Detroit’s first Pewabic tile fireplace. It also includes woodworking details and original stained-glass windows. There are 23 private suites, nine bathrooms, a ballroom, a conference room, two glass rooms, on-site parking, and a foyer with a three-story solid wood staircase. It can be an “office building or co-working spaces, a boutique bed-and-breakfast, or a large-single family residence,” says James Tumey, vice president of Friedman Urban and exclusive agent for the property. The offering book is available here. The live listing is available here.